"Practical information with data backup ... particularly focusing on adolescent development/needs/peculiarities. Appreciated inclusion of info on recreational drug use." "A lot of common sense and simple ideas to help students with SI issues." "Great workshop! My students will reap the benefits of the workshop in numerous ways. This will enhance our curriculum as well as our overall approach to the education process." "This workshop was helpful as it let me explore new techniques and equipment to use with my son ... Great workshop." "I love the applicable aspect of this workshop." "Enjoyed all the SI interactive activities ... hands-on always promotes learning." "Wonderful ideas for teens and how to adapt sensory diet/programming into 'teen lingo' and therefore to make it more acceptable for teenagers." "I was in a 'rut' with my teen students. Now, I'm eager to work with teens as I have some good strategies to give them." "Loved the 'teen friendly' language and 'tool' ideas. So much info and yet very organized and easy to digest visually." "I love your energy. I love your excitement about your profession." "Enthusiastic presentation! I appreciated the updates, neuro-bio components and trends in current research." "Gave very specific activities to use with teens in an interactive format." 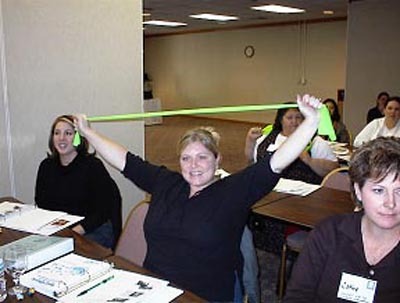 "I can't wait to implement the activities with all my students! Thank you so much. I also know that I have a broader base of understanding that will be helpful when I am working with the regular P.E. teachers on inclusion." Diana, I wanted to thank you again for such a wonderful weekend. I continue to hear only positive comments and 100% request for you to come back to present in Mobile, Alabama. I would like to book you for this course and the SI for Adults. Let me know what dates are open for 2004 and also if you have any changes and openings in 2003. Let me share comments from our course questionnaire. 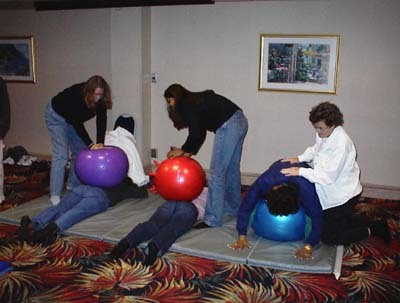 "I enjoyed this workshop and hope to use these new skills in the classroom along with my PT and OT." "As compared with other workshops I have attended, this has by far been the most useful as far as helping my children and the overall classroom environment." "Invaluable information - thanks for the opportunity." "Enjoyed workshop. Really learned a lot." "Great course - a wonderful way to spend 2 days." "Thank you for bringing her here." "She was wonderful. Thank you for including us teachers." "Wonderful course! I would recommend it to others!" "We need to have her back. Diana was so informative and very energetic." There were more comments and all were very positive. Thank you again for bringing such a wonderful learning experience. Feedback from our three day workshop in San Bernardino - Promoting Collaboration between School, Home and the Medical Community using Sensory Integration. 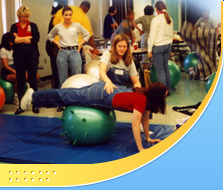 This workshop was helpful in my school based OT treatment. I thoroughly enjoyed the collaboration model. I like the concepts introduced. Although I am an OT student, this info will help me to become a great OT in the pediatric field. Even if I plan to work in a clinic, learning about school based OT gave me a better perspective. Great presentation! I will recommend this training to all. I would like to look at writing a grant for the principals, psychologists, APE, etc. to attend your seminar. Thank you for defining educational OT vs. medical/clinical model OT. You're doing a great job! I truly enjoyed this workshop. 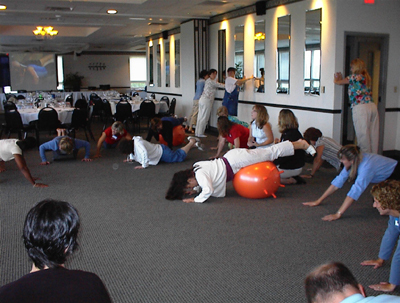 I typically incorporate physical/play components in my therapy without even realizing how important it is. 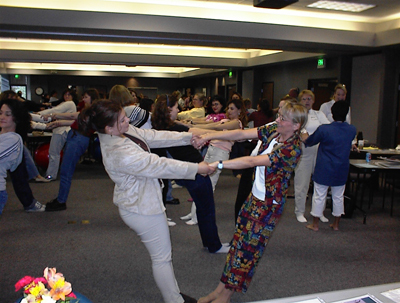 Diana conveyed the importance of breaks and movement throughout the day. I personally noticed an improvement in my own attention and alertness after stretches, breaks, and movement. I never learned about sensory integration before. It seems to validate things I have observed in the autistic children I work with as well as in my son. Diana is a dynamic speaker with valuable information that she presents in an interesting, experiential way. This workshop helped me better understand the educational model of service delivery. I was assigned to supervise the OT/PT services without training in September 2002 and it has been difficult to effectively supervise this service and support my staff. I will prepare a proposal to the Area Director to move from a pull-out service to the collaborative in the classroom service delivery as a result of this workshop. Thank you for this wonderful learning opportunity! What you do is so wonderful!! I will be a more effective teacher and parent because I know understand what to do. Thank you! I search for workshops everyday to help me collaborate with regular ed. 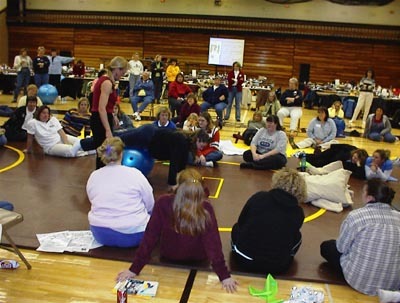 teachers and medical professionals to provide a safe, fun classroom environment. You have given me a wealth of information that will exponentially make a change. This workshop was very helpful. I was able to go home and a situation occurred where a meltdown was about to happen with my son. I was able to use an exercise that I had learned in the workshop and no meltdown came and he was so proud - he knew he was OK. This workshop was especially helpful for me. The OT's/SLP's would come into my classroom, pull my students out and leave a report in my box and that was it. Now I know what to ask them about. Great workshop for everyone that works with children and adults. I even learned what type of sensory exercises I, myself could benefit from and why certain things bother me. Fantastic - Best Workshop that I have been to in the 8 years that I have been an OT. Great job Diana! Keep up the great work. I really enjoyed the workshop and gained lots of useful information that I can immediately begin to implement into the classroom. This workshop offered new ways to approach regular education teachers and principals with ideas relating to sensory integration. I loved the workshop! I will change how I treat my students. Great course! Wonderful energy, information, and labs. I am excited to share this information with administration and teachers in my school district. This is my second time at your workshop and I have learned things at both of them. I try to use what I learned with all of my students. Tremendous workshop! Lots of practical information. 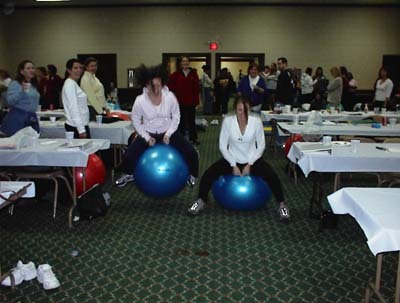 The best workshop that I have been to on sensory integration.